V2X connectivity could dramatically improve even the classic road sign and traffic signal systems. One instance is when a traffic light which uses C-V2X technology could send a driver signals informing him that the light is about to become green or red. It could even warn the motorist if the light is about to turn red and thus help minimizes the risk of potentially fatal accidents. 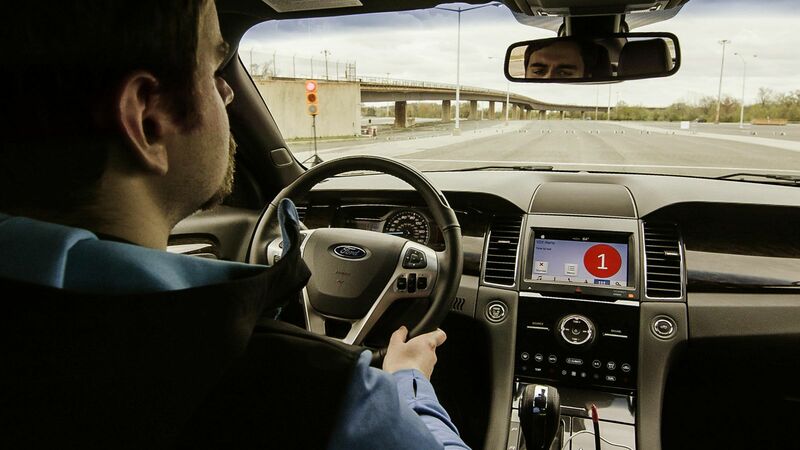 Butler said that Ford’s Co-pilot360, which is essentially a driver-assist technology that comes with components like “automatic emergency braking with pedestrian detection, blind spot information system, lane keeping system, rear backup camera, and auto high beam lighting” will be fully compatible with C-V2X technology. According to Butler, though the use of onboard sensors, camera arrays and current navigation systems do significantly improve road safety, complementing such a system with complete cellular interconnectivity between devices and vehicles would make the roads even safer and help reduce accidents. Just as in the case of aerial drones, one possible stumbling block could be overcoming regulatory roadblocks and it would be necessary for Ford to get the needed approvals, and to promote the benefits of the technology among end users so that they would adopt it quickly so that it can quickly implement its vision of the interconnected technological framework that the company has in mind. According to Butler, Ford has already started working with industry and governmental entities to tackle this issue and is expediting the process by fostering conversation between automakers, infrastructure and road operators, and government agencies. With the automotive industry adopting technological and safety innovations at an increasingly fast pace across the globe, there is every chance that that we will be seeing more and more vehicles with V2X technology on the roads in the near future with a standardized framework of connected vehicles, people and devices.